An immaculate one owner example with low mileage and full Hyundai dealer service history including the balance of Hyundai five year warranty from date of first registration This car is supplied fully serviced with parts and labour warranty for peace of mind we also offer 12 months free standard AA breakdown cover with this car or an upgrade for existing AA members. Terms and conditions apply for further details or to book a test drive please contact sales on *** 3965 all our quality used cars are supplied hpi clear. This advert is for a Hyundai I20, click Hyundai I20 in Neston to see more cars like this in the local area. Want to search further afield? 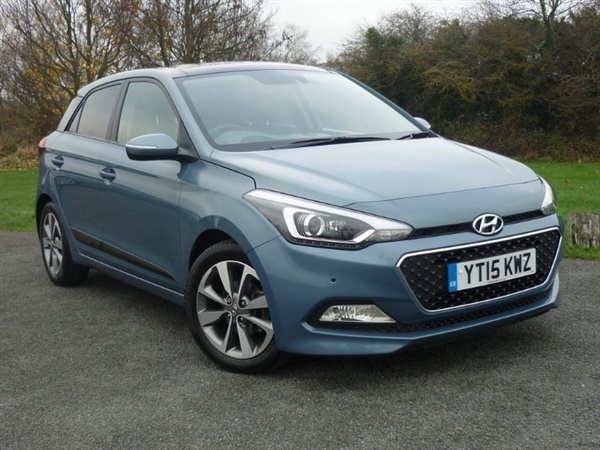 Click Hyundai I20 in Cheshire to search for similar cars in the wider Cheshire area.